As Amala Paul gets ready for her big day, we look back at the beautiful brides of the South film industry. South Indian actress Amala Paul, who works in Tamil and Malayalam movies, is all set to marry filmmaker A L Vijay on June 12. The gorgeous actress will certainly make a beautiful bride on the big day. But before that, here's looking at the prettiest brides of the South Indian film industry. 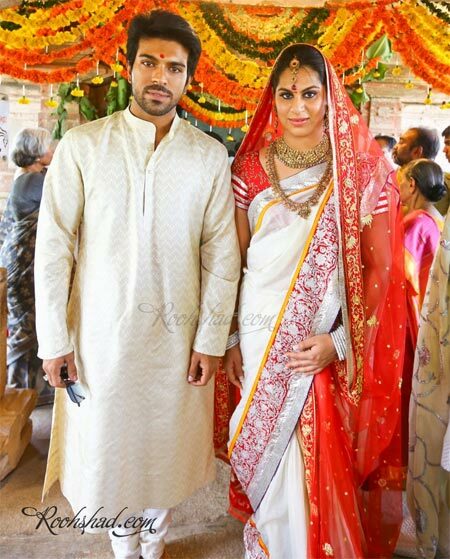 Chiranjeevi's son Ram Charan Teja got married to Upasana Kamineni, the granddaughter of Dr Prathap C Reddy, founder-chairman of Apollo Hospitals. Here, the bride and bridegroom clicked at their wedding. 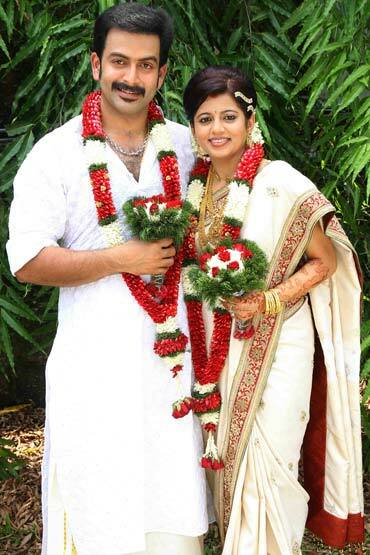 Tamil actors Prasanna and Sneha got married in 2012, in a traditional style in Chennai. The couple had fallen in love on the sets of their film, Achchamundu! Achchamundu! 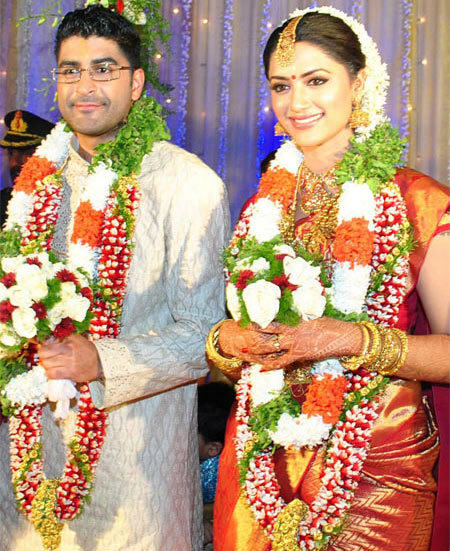 Cancer survivor actress Mamta Mohandas got married to her childhood sweetheart -- Bahrain-based businessman Prajith Padmanabhan -- in 2011 in Kozhikode, Kerala. Unfortunately, their marriage did not last, and the couple filed for divorce in December 2012. Malayalam actor Prithviraj tied the knot to longtime girlfriend and BBC journalist Supriya Menon in a private ceremony 2011. 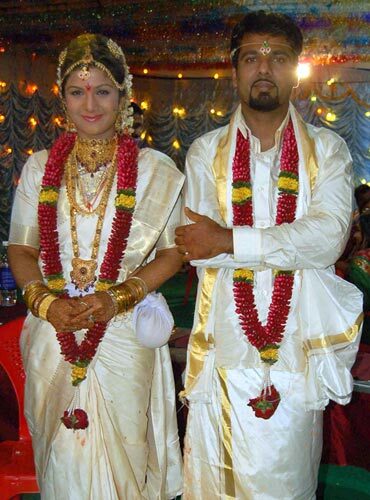 Actress Rambha married Canada-based businessman Indran Pathmanathan at the Tirumala temple in Andhra Pradesh in 2010. They had a daughter in Toronto the following year. 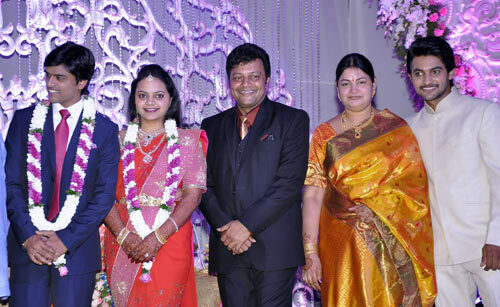 Chiranjeevi's nephew and Telugu actor Allu Arjun got married to Sneha Reddy, daughter of an educationist, who runs engineering colleges in Andhra Pradesh, in 2011 in Hyderabad. The couple had a baby boy in April this year. Suriya's younger brother Karthi married Ranjini in an arranged marriage in 2011. They have a daughter named Umayaal, born in 2013. NTR Jr married Lakshmi Pranathi, daughter of Narne Srinivasa Rao, the owner of the Telugu news channel Studio N in 2011 in Hyderabad. Tamil superstar Rajinikanth's daughter Soundarya -- who recently directed her father in Kochadaiiyaan -- got married to industrialist Ashwin Ramkumar at a ceremony in Chennai in 2010. 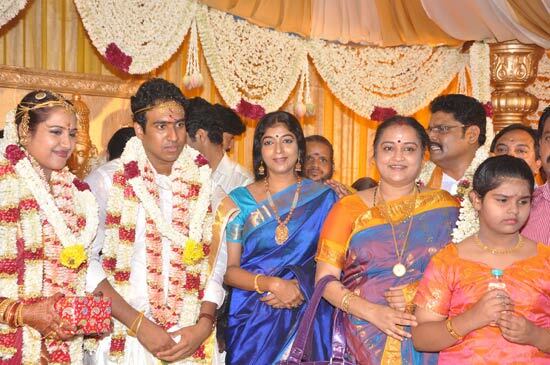 Tamil director KS Ravikumar's daughter Janani got married to MBA Sathish Kumar in Chennai in 2012. Telugu and Kannada actor Sai Kumar hosted a lavish wedding for his daughter Jyothirmayi and son-in-law Krishna Khalguna in 2012. Suriya married Jyotika at a private ceremony in Chennai in 2006 after a three-year courtship. 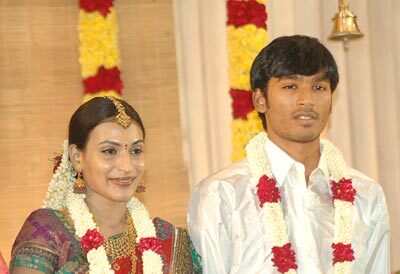 Superstar Rajinikanth's eldest daughter Aishwarya got married to actor Dhanush in 2004. The couple, who have two sons, later collaborated on the film 3, which Aishwarya directed. The film did not fare well, and is most famous for its song Kolaveri Di. Rakshita, who has acted in Kannada, Telugu and Tamil films with top stars like Chiranjeevi, Balakrishna, Nagarjuna, Mahesh Babu, NTR, Vijay, Simbu, Puneet Raj Kumar, Sudeep and Darshan -- got married to actor-director Prem in 2007. The couple have a son named Surya.